A really cool curved landscape of flowing polygons makes you feel like you are a traveller in an abstract high world. A cool abstract video loop. This video loop is ready for your big video screens, a nice clip to add to your footage library. 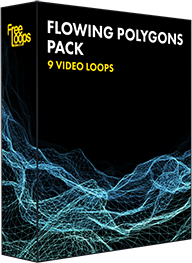 This video loop is part of Flowing Polygons Pack.